Children love this dessert and it can be made quite nutritious if you use fruit juice and fold through fruit after beating the milk. I decided to revisit the recipe using mulberries as a flavouring. I simply simmered some frozen mulberries and then strained off the juice. Any berry fruit could be used. Place the tin of milk in the fridge overnight. Next day, mix the jelly crystals with either 1 cup of boiling water or 1 cup of fruit juice, heated to boiling point and stir until the crystals are fully dissolved. Leave to cool and just begin to thicken, but not set. Beat the evaporated milk until thick and creamy and soft peaks form, then beat in the jelly mixture. Spoon into serving glasses. For optional berry topping, dissolve 1 packet raspberry or port wine jelly crystals in 1 cup of boiling water or boiling fruit juice, then mix in ½ cup mixed berries. Chill until beginning to thicken, then spoon onto the set flummery. If liked, top with a tiny scoop of ice cream or a dollop of sweetened whipped cream. 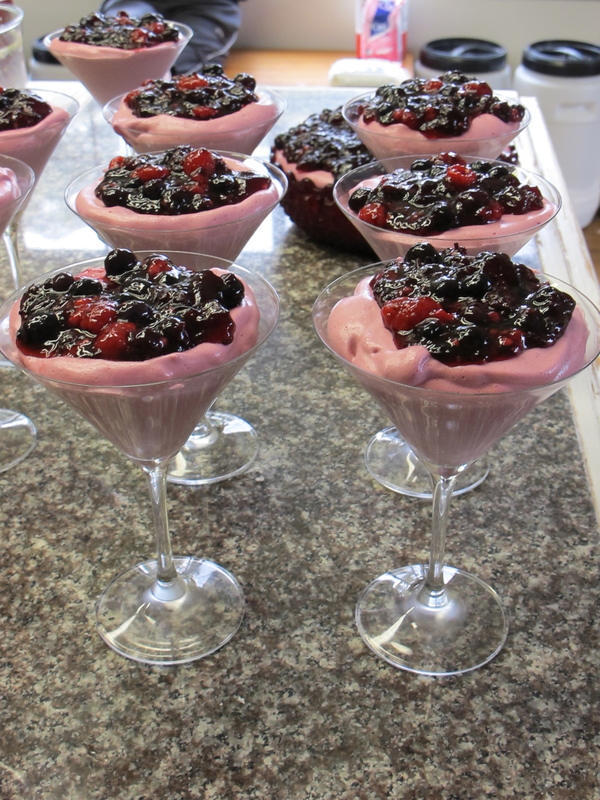 Variation – you can also fold fresh berries through the flummery once the milk and jelly mixture have been beaten together.